H&H Mobil, located conveniently in East Lansing at the Corner of Haslett Rd and Hagadorn, specializes in evaluating, repairing and replacing brakes. Our expert team of auto repair professionals understands that brake replacement can be expensive, so we focus on repair and affordable brake replacement services when repair is not an option. We want you to be back on the road as soon as possible! 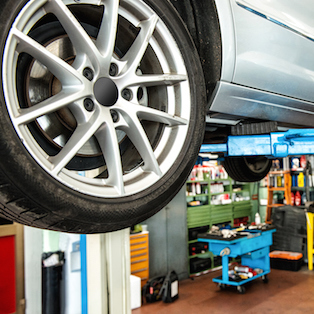 At H&H Mobil, our auto repair team will give you expert recommendations about brake repair for your vehicle. Our brake evaluation and repair process is very straight-forward. First, we’ll have you come in for an initial brake evaluation with our expert East Lansing brake repair team. Then we’ll assess the wear and tear or damage of your brakes. Some brakes will need a total replacement, while others will just need new brake pads. Once the extent of repair is evaluated, our team will make a suggestion on what your next steps should be. Finally, we’ll complete the brake repair or replacement as soon as possible and get you back on the road in no time.